XDS and IFES at Exhibitor Live 2018, North America’s largest featuring trade show and event products and services. The International Federation of Exhibition and Event Services (IFES) present the “IFES Global Village” at EXHIBITORLIVE, America’s premier conference for trade show and corporate event professionals, February 25 – March 1, at the Mandalay Bay Convention Center, Las Vegas. The IFES Global Village, (Booth 1800) will consist of eleven member companies and together with the IFES Association. Management team, who will meet with partners, members and attendees from around the globe and offer support services and connections for international exhibiting. Our CEO, Voicu Sferdianu notes “IFES represents a global collaboration network, and EXHIBITORLIVE offers a tremendous opportunity to foster new connections” . 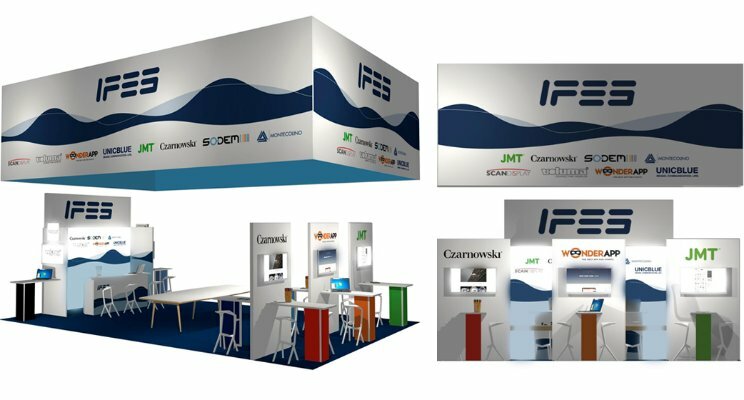 As part of IFES, we are pleased to invite you to meet us @ IFES Global Village @Exhibitor Live, 26 – 28 february 2018, Mandala Bay, Las Vegas USA.